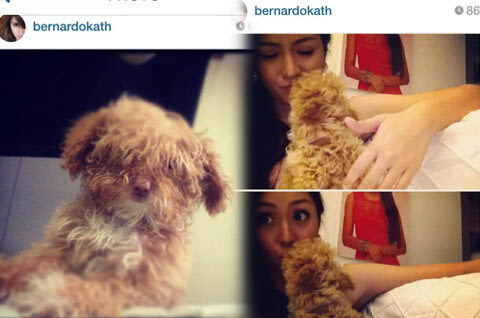 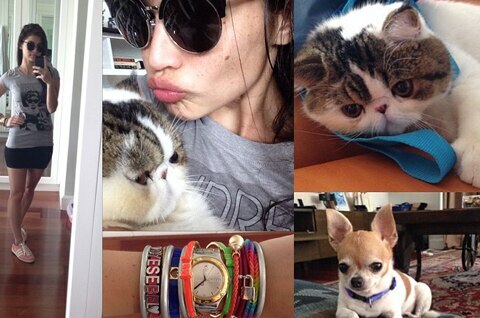 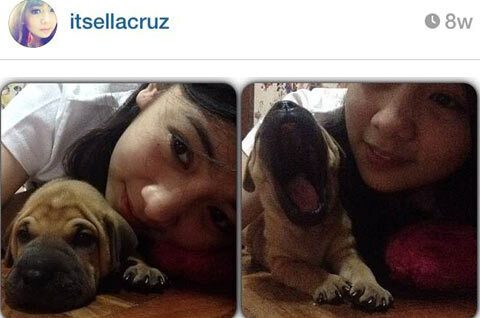 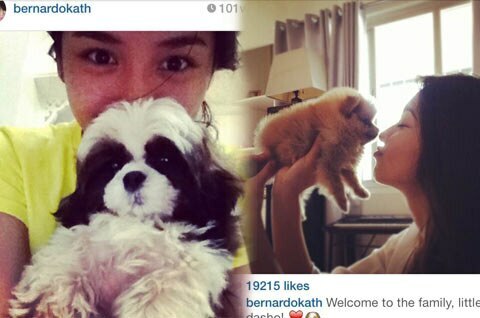 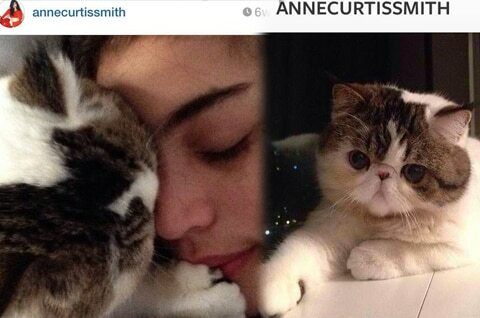 Anne Curtis, Kathryn Bernardo, Angel Locsin, and other stars share their favorite pet photos online. 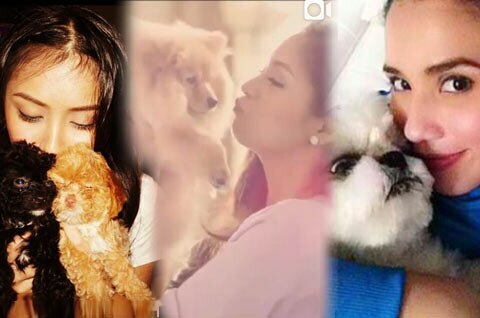 Even though they can be busy working on various projects likes shows, movies, commercials and other showbiz commitments, these pretty Kapamilya celebrities always make time to play and take care of their beloved cats and dogs. 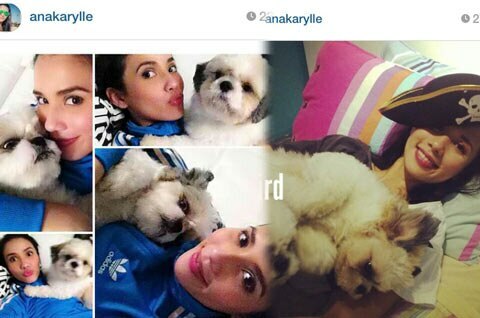 Here are their favorite photos shared on their personal Instagram accounts. 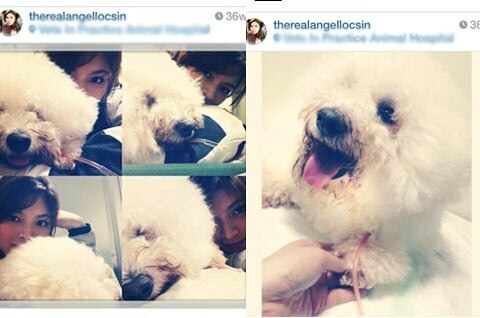 Last year, The Legal Wife star had to rush her beloved Bichon Frise Pwet Pwet to the veterinary hospital when she got home after shooting a movie. 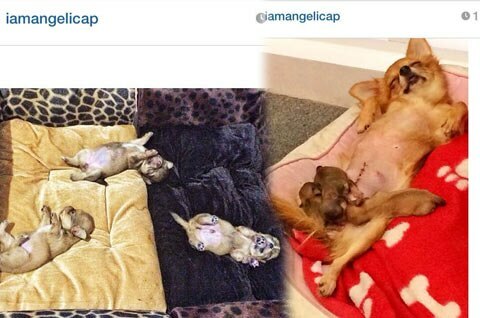 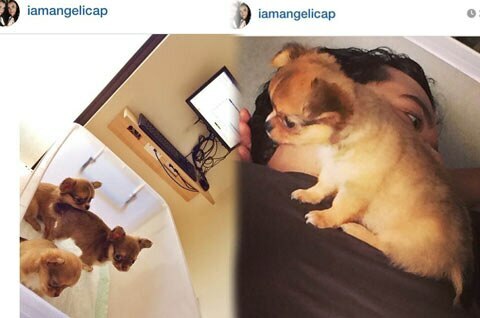 Angel posted that she was on “mommy mode” after the dog was confined for a few days. 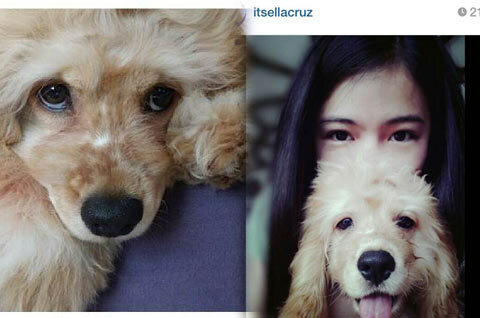 This teen actress has five dogs, but the only one allowed inside the house is an adorable Cocker Spaniel named Carlii whom she named after watching a Carly Rae Jepsen concert. 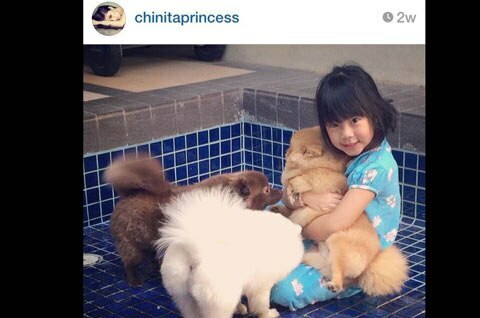 “Yung iba kasi nasa cage kasi ang hirap i-handle na lahat nasa loob kasi hindi rin naman ako madalas nasa bahay.” She also has two bulldogs, a Bull Mastiff, and a Yorkshire terrier. 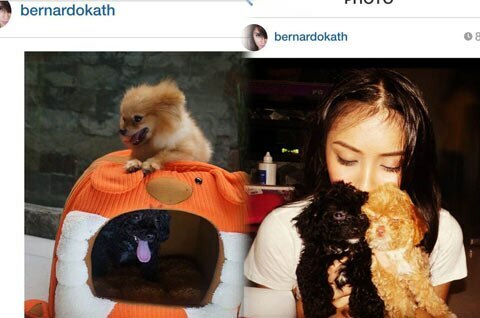 It was Daniel Padilla who gave Kath her two dogs, a toy poodle Cola and Nacho (who already passed away), but she also has a Pomeranian named Dash (given to her by KathQuen fans) and a Shih Tzu named Fish whom she always makes sure to play with whenever she comes home even if she is tired from taping all day.